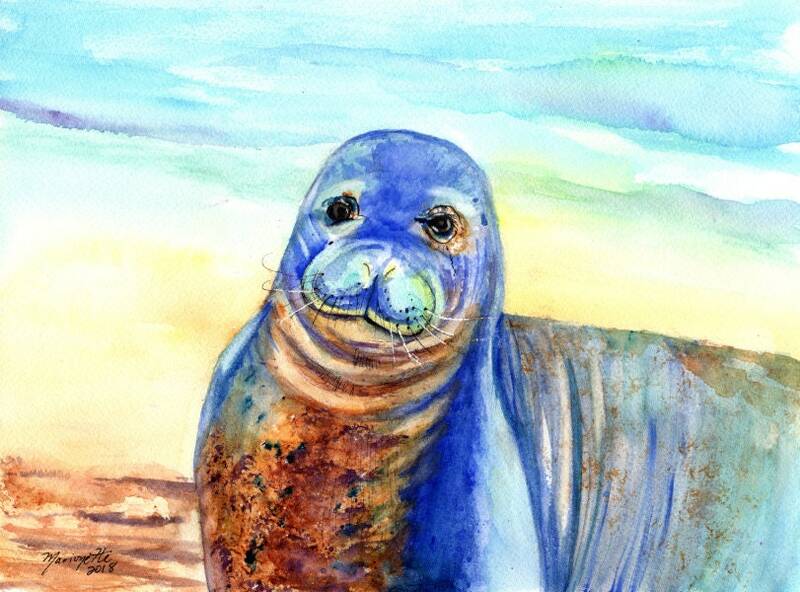 This Hawaiian monk seal watercolor was painted from a photo by Paul Franko a longtime visitor to Kauai, on a recent trip. Taken at Poipu Beach you can see the seal is posing after going for a roll in the sand. Mahalo Paul! "Hawaiian Monk Seal" This giclee print is signed by the artist and printed with archival inks on radiant white watercolor paper. It is a reproduction of an original watercolor painting and comes packed in a clear sleeve with a backing board (unframed). Colors may vary slightly from monitor to monitor.